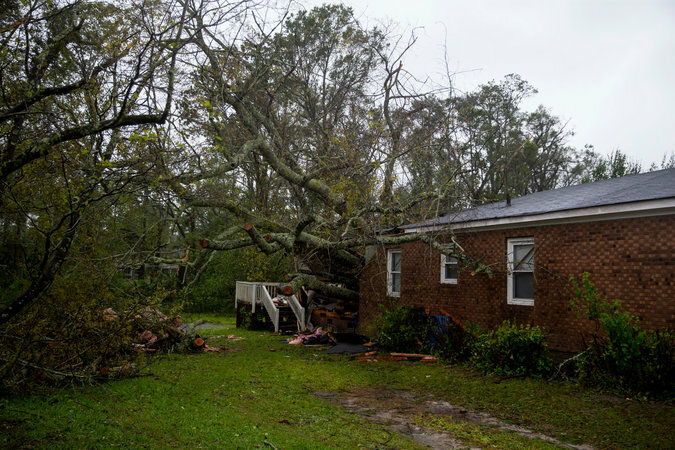 • Officials have confirmed five deaths related to the storm, including a mother and child who were killed after a tree fell on their home in Wilmington, N.C., on Friday. • Hundreds of residents of New Bern, N.C., were rescued from floods that inundated homes and swept away vehicles. More flooding is expected in eastern North Carolina as well as areas further inland, like Fayetteville and Charlotte, according to the National Weather Service. 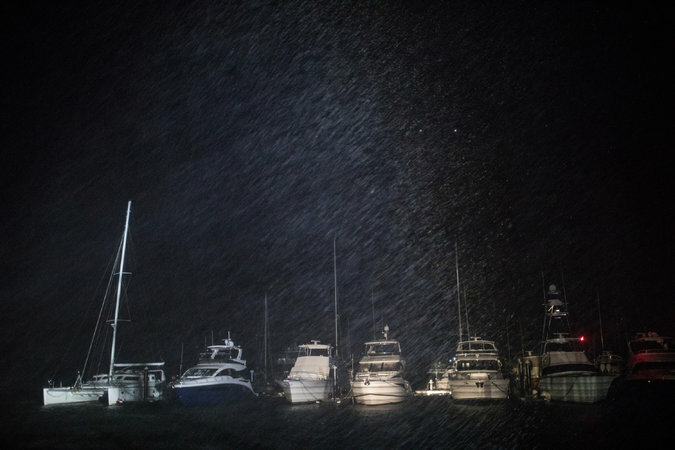 • View photos of the storm and its effects on areas across the Carolinas. • The New York Times is providing open and unlimited access to our coverage of Hurricane Florence and Typhoon Mangkhut. Catch up on the rest of our coverage. Roads are flooded as rains drench Wilmington, N.C. Heavy rain in Wilmington, N.C. The waters of the Cape Fear River in Wilmington, N.C., were gray and roiling at daybreak on Saturday as driving rain from Hurricane Florence continued to drench the city and wind gusts blew debris through nearly deserted streets. With up to 20 inches of rain forecast, roads were flooded in some low-lying areas and along stream and river banks. Emergency authorities warned that widespread flooding was still a threat as the trailing bands of Florence swept past the city into South Carolina. On Water Street along the Cape Fear waterfront downtown, rivulets of water began to form early Saturday. Wilmington Mayor Bill Saffo said the river was expected to crest next week. Gov. Roy Cooper of North Carolina said the Cape Fear River could cause inland flooding as severe as it did during Hurricane Matthew, which inundated several eastern North Carolina towns in 2016. Roads ranging from six-lane highways to winding suburban streets in Wilmington were blocked by fallen trees and severed power lines, creating road hazards as city and county officials struggled to get street clearance crews and power company trucks out on the streets. They said they hoped to get both up and running by Saturday. At least 106,000 of 127,000 Duke Energy customers in the city and surrounding New Hanover County were without power, officials said late Friday. There was virtually no gasoline available in the region after stations closed down and wrapped their pumps in plastic. Chief Ralph Evangelous of the Wilmington Police Department urged residents to stay off the streets. A curfew was in effect from 10 p.m. to 6 a.m.
“Stay indoors – it’s dangerous out there,” he said. Chris Coudriet, the county manager, said the emergency response system was overwhelmed with calls from citizens seeking help or advice. He provided a separate phone number for nonemergency requests to free up responders for the most serious calls. A falling tree crashed through a home in Wilmington, N.C., on Friday, killing a woman and her baby. “This storm is not yet done,” Mr. Coudriet said, warning of continuing rain and winds throughout the day. Most residents obeyed the authorities and stayed inside darkened homes. Many cranked up portable generators for temporary power.